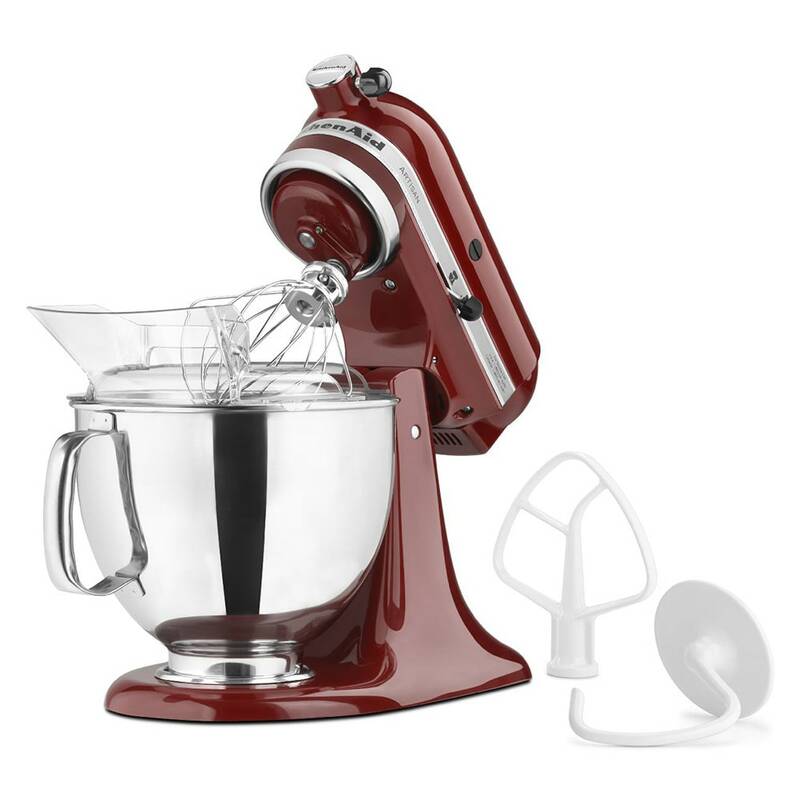 This five quart stand mixer from KitchenAid provides the power and flexibility to prepare dishes ranging from whipped cream to bread dough. It includes four accessories, so it's ready to use out of the box. The stainless steel mixing bowl is large enough for a batch of nine dozen cookies or seven pounds of mashed potatoes. Artisan Series 5-quart mixer, 10 speed, tilt back head for easy access to mixture, 1-piece pouring shield with large chute for adding ingredients, includes flat beater, dough hook and wire whip. 325 watts, 120v/60/1ph, Gloss Cinnamon. Warranty not valid when used in commercial environment such as a bar or restaurant.